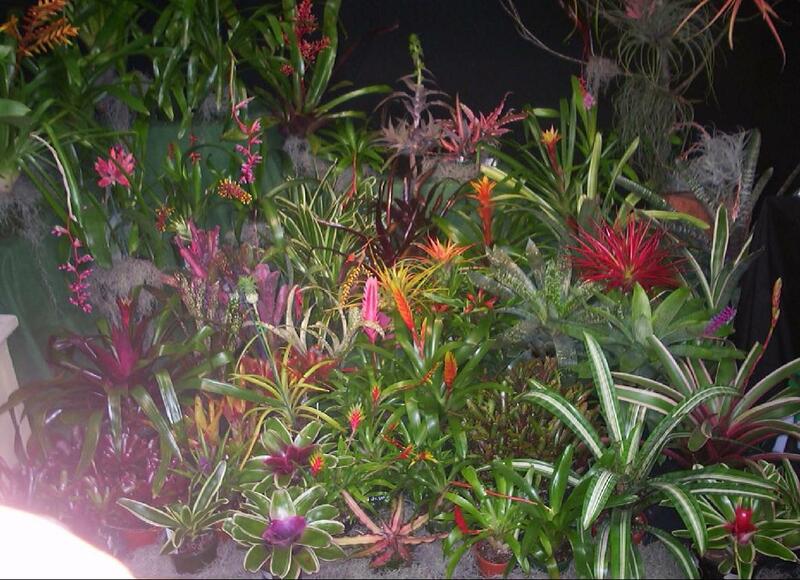 14th to 17th August 2003. 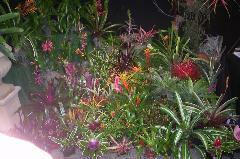 Olympic Park, Homebush Bay. 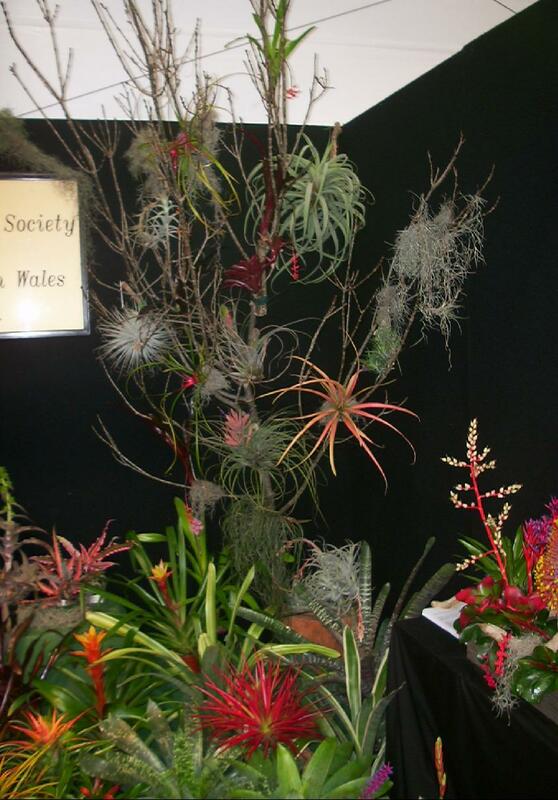 The Bromeliad Society of Australia was well represented and lots of members took turn in looking after the stand and fielding enquiries. Richard Cornale has more photographs of this event. 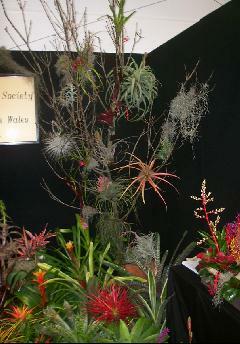 The NSW Bromeliad Society also had a terrific display nearby. 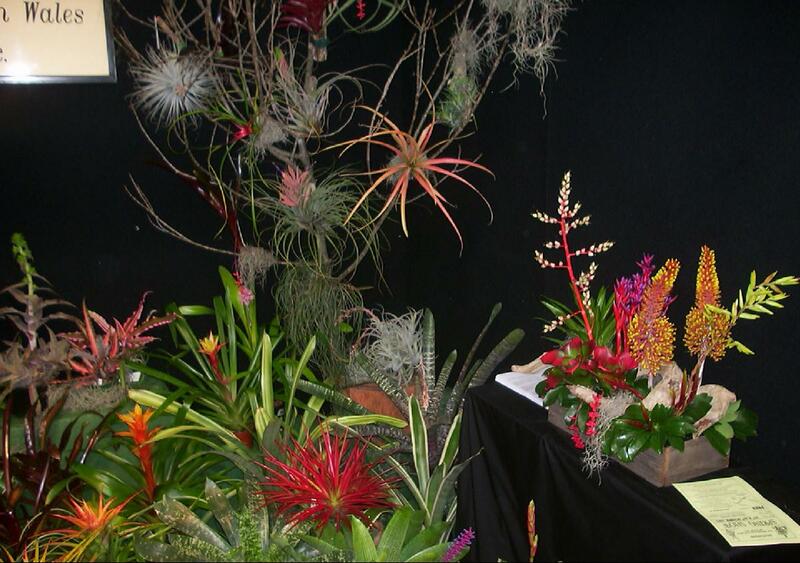 Bromeliads were well represented at many commercial stalls, not only specialists such as Wahroonga Nursery, but also amongst the Orchid displays and others. 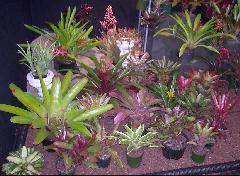 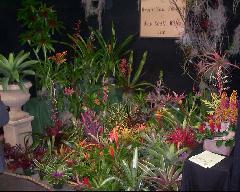 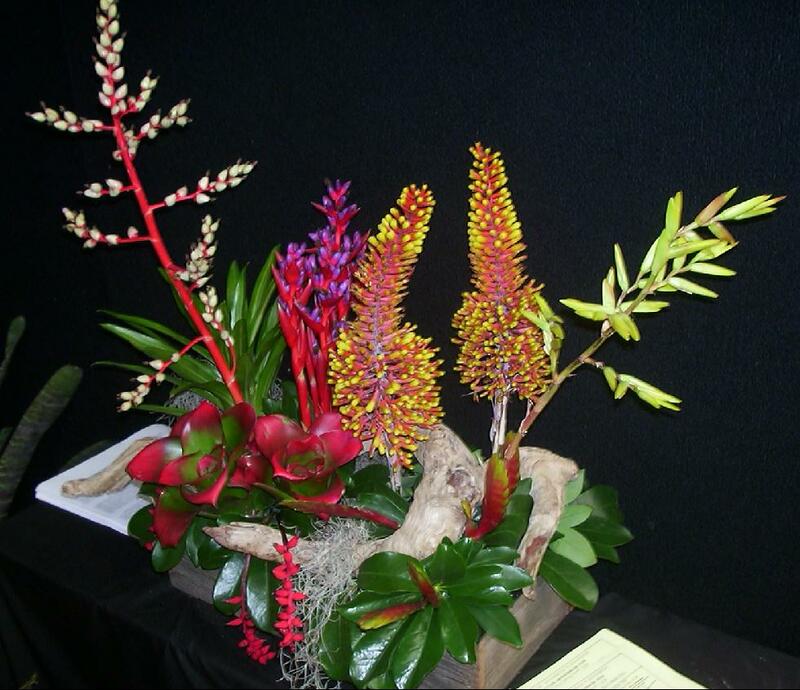 ABC presenters also discussed Bromeliads and their current wave of popularity on the stage talks. IKH 08/03, BSA-ABC display. IKH 08/03, that arch again. 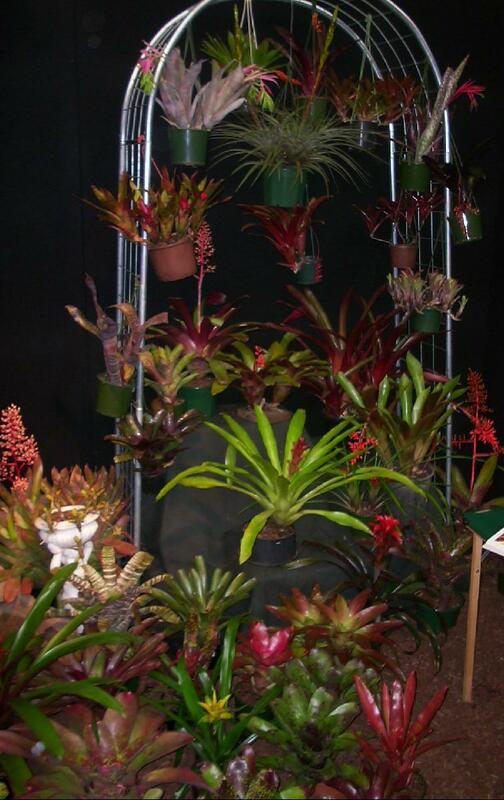 IKH 08/03, New South Wales Bromeliad Society stand.